Art of Estates will review your property for a no cost, no obligation consultation. If the property has a value of more than $300, we will contact you requesting more information, photos (if necessary) and/or provide costs associated with the services you have requested. It is best that you provide us a clear direction of what your appraisal needs are so that we may provide the you the best service for the appropriate application for how the appraisal will be used. Start today by completing this online appraisal request form. If assistance is needed, please review our examples of how to fill out the appraisal online form at the bottom of this page. If those examples do not apply or assist you in your quest for resolve, contact the appraiser you have been communicating with already or the one you believe is the closest regionally and most experienced in your type of property. No values are provided without cost. No zero-cost appraisal services are available from Art of Estates. Our lowest fee for providing any value is $35. Valuations considerations for items that are not part of our appraisal expertise, although uncommon, may only receive additional contact options. All consultations via email are provisional and subject to revision with examination onsite by an accredited apparaiser. Photographs and other materials sent to us by post will not be returned and this is not recommended because it is not expeditious. Never send images to us for historical research only. We are appraisers who provide values and consulting as our primary means of income. A formal appraisal will typically come with both when clearly requested beforehand. Please allow up to 5-10 days for a response. We may be traveling for related appraisal services, onsite examining personal property, or collecting information a large collection with a contracted client. Follow-up reminder emails are encouraged by the owner if no response was provided. The appraisal firm is often very busy. We receive up to 6 new leads daily in each region through a variety of channels. Paid or Paying customers are always first in line and top-priority. There is a minimum fee for all in-person appointments and consultations. Home visits always have a minimum fee as well. Contacting us through this system is the most cost and time effective way for you to have your item reviewed, to see if you are putting your dollars to good use. We do not provide estimates of value or formal appraisal reports on property with a value less than $300 unless required by IRS, non-cash charitable donation, disputes, equitable division, civil or criminal court requests. Please specify if this is required. 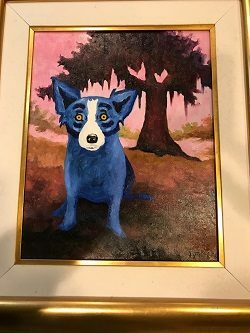 Message: We have an acrylic painting on canvas by George Rodrigue that we inherited last year from my mother. 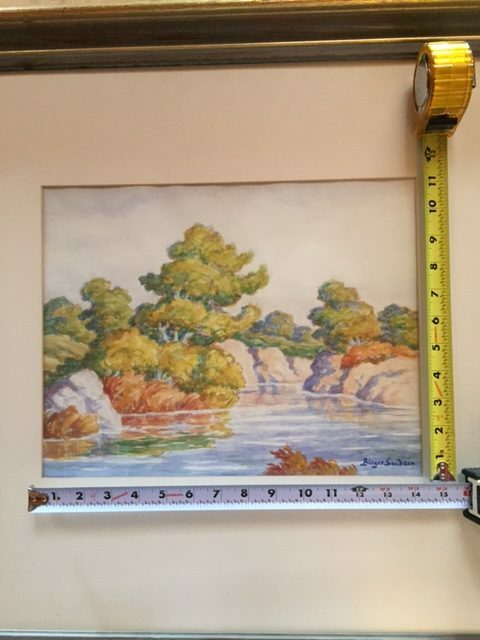 We don’t have any information on the painting other than it’s been in the family for at least 20 years. We’d like to see if we should have it appraised for insurance coverage purposes. Our Insurance agent would like us to have it scheduled for insurance if it exceeds $2,000. It appears to be signed Rodrigue and stamped on the back “The Rodrique Gallery New Orleans Louisiana”. The image size is 20 inches high and 16 inches wide. The frame is about 5 inches on each side. We’ve attached 3 images. Let us know if you need more information and how much it would cost for your appraisal services. Message: We have a piece of Native American Pottery we need appraised for non-cash charitable donation purposes to a museum. We bought the small pot around 1975 while visiting the area for about $50, we lost the receipt somewhere. We’ve never had it appraised. 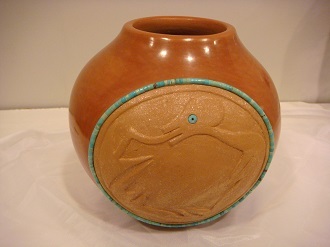 It is 8.5” tall/high and about 11” in diameter and appears to have turquoise inlay around the avanya serpent, signed Dora Tse-Pe 1982 San Lldefonso. Can you help? Are you qualified? 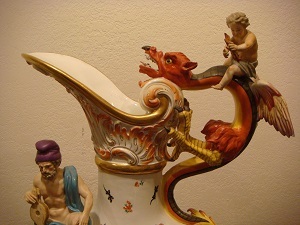 Message: We are settling an estate in Aspen and need to have a Meissen Ewer Tankard appraised, which is German porcelain. 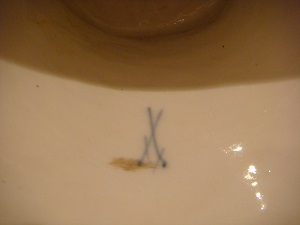 It has been in our family for over 100 years, so we know that it is antique. 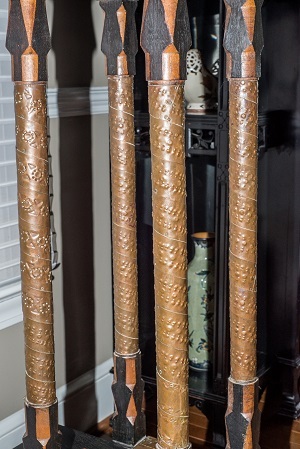 It has the sword hallmarks and we were told it could be quite value. Height: 26.5 in x Width: 16.5” in x Depth: 8.5” in. Please let us know what your timeline for completing an appraisal for such purposes and what the cost would be. Message: My spouse and I are getting a divorce and our lawyer recommended we need a piece of personal property appraised so that we can be equitably divided. 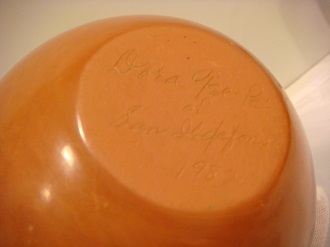 It is a signed Carol Bugatti pedestal or Sellette. 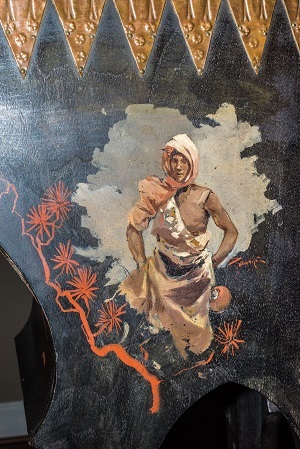 It is made of copper, veneered wood, and painted with imagery. 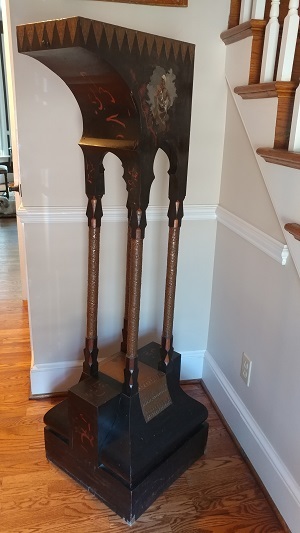 It’s about 58” tall and has some abrasions around the bottom edge. 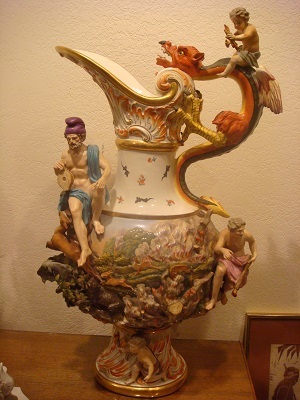 We would like to know what your turnaround time might be for an appraisal of this nature and if you come out to the home or if you can appraise this remotely? 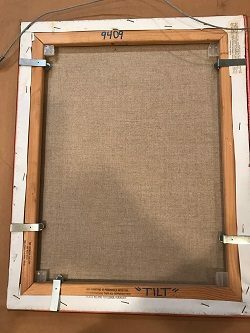 Message: We have a Birger Sandzen watercolor painting that was damaged during our move recently from Fort Collins Colorado. It was not previously appraised or scheduled on our policy. Our insurance agent has asked us to get an insurance appraisal for our painting before further discussion. 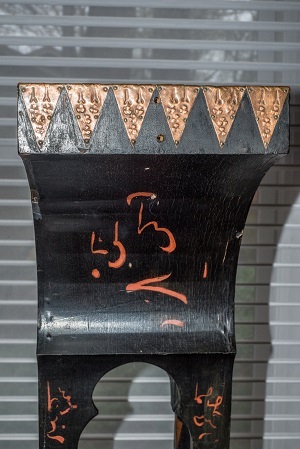 We have images of it before it was damaged, and it is now at the art restoration studio where we have been told you may access it for further review. Can you provide us an idea of how much this appraisal will cost? The Sandzen has been in our family for over 50 years and we own other works by the noted Prairie Printmaker group founded in Lindsborg Kansas. We see you have an office in Wichita too! Looking forward to potentially working with Art of Estates.